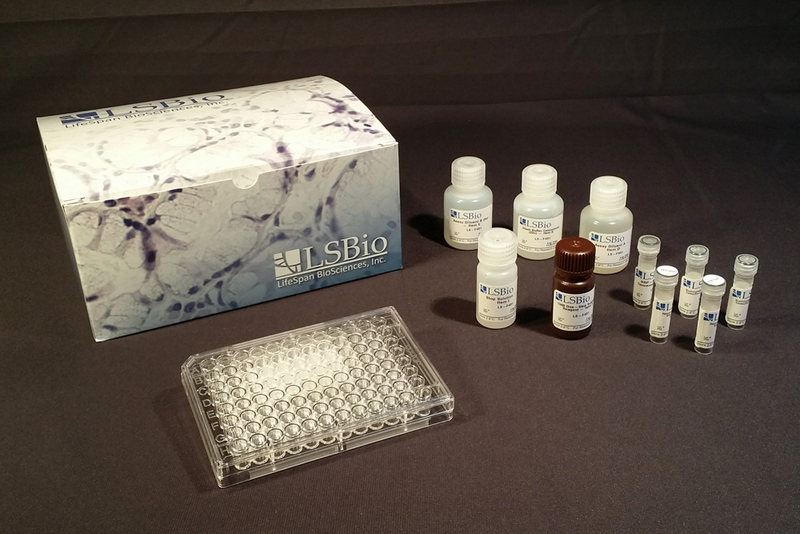 LS-F7 is a 96-well enzyme-linked immunosorbent assay (ELISA) for the Quantitative detection of Human Gastric Inhibitory Peptide in samples of Cell Culture Supernatants, Cell Lysates, Plasma and Serum. It is based upon a Competitive EIA assay principle. The capture antibody provided in this kit recognizes human, mouse and rat GIP. Add 100 µl anti- GIP antibody to each well. Incubate 1.5 hours at room temperature. Add 100 µl standard or sample to each well. Incubate 2.5 hours at room temperature or overnight at 4°C. Add 100 µl prepared streptavidin solution. Incubate 45 minutes at room temperature. Add 100 µl TMB One-Step Substrate Reagent to each well. Incubate 30 minutes at room temperature.